2008 Premium Ocean Blue Boot Cut [DDW1A] 98% Cotton/ 2% Lycra stretch Cone Mill USA denim. Low-Midrise Waist, contoured pockets with cabello stitch upper body. 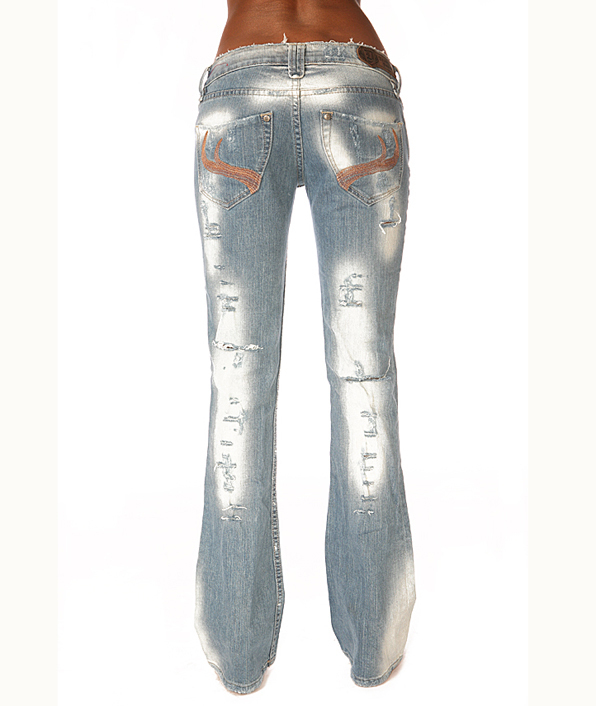 Limited edition alloy molded buttons/rivets, mbroidered inner waist label and back pocket design. White pigment dye treated denim with acrylic paint embellishments ensures maintenance of fabric strength and that "bleached look". 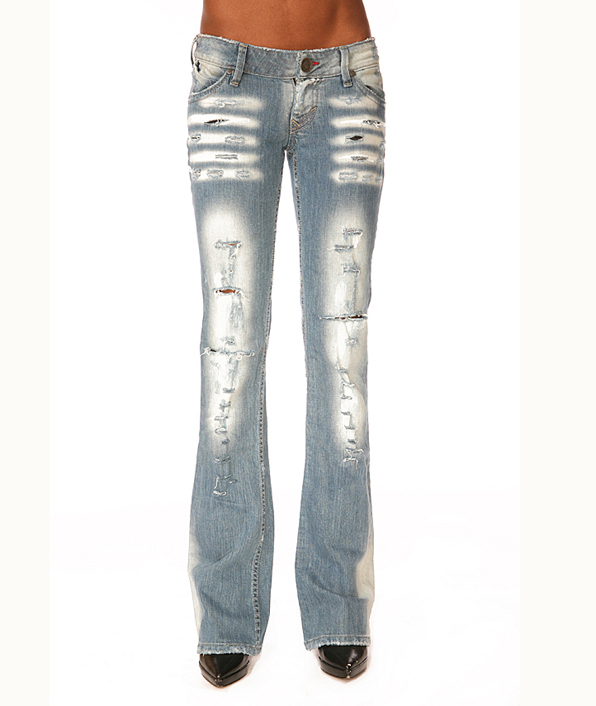 Longer inseam makes these jeans ideal with stilletos. Made in LA.